CIMS is delivering executive education curricula as an integral component of the Executive Farm Management Program. The Center is facilitating innovation for Southeast growers who can use these skills to feed a hungry world. The Executive Farm Management Program, featured in the Modern Tobacco Grower newsletter, October 18, 2018. 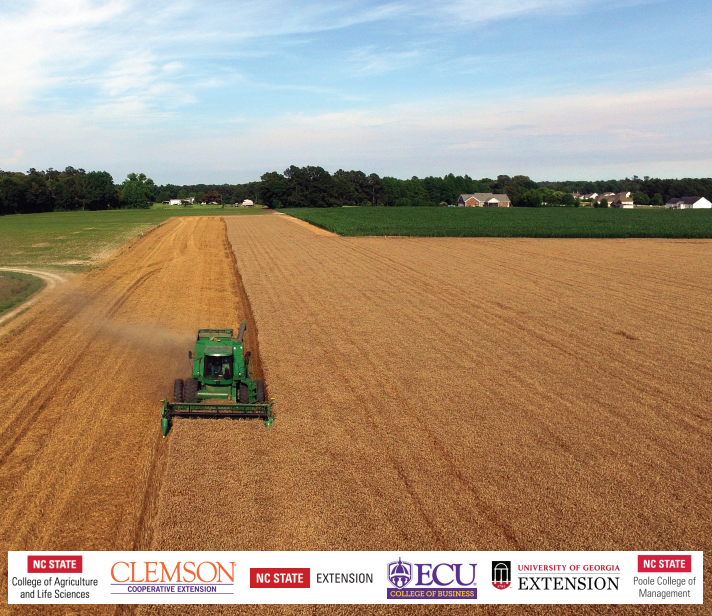 The Executive Farm Management Program has gone regional, with some of the Southeast’s leading management experts joining the NC State and East Carolina University team that launched the program last year. Mike Davis reports. Grainger explained that agriculture in the Southeast is both unique and diverse, with many crops requiring a great deal of labor. Instructors tailor the program to factor in this diversity. This year, the program has not only expanded its crop focus, it has also added academic partners and is actively recruiting participants across the Southeast. Dr. A. Blake Brown, Executive Director of EFM, joined the Council of Economic Advisors at the White House on August 1st. Replacing, Michael Adjemian, Brown will serve as a senior economist focusing on agricultural policy. The Council is a part of the Executive Office of the President. Michelle Grainger is serving as Managing Director in his absence. The science, technology and business of farming in the 21st century are changing rapidly, and to compete on a global scale, farmers need to know not just how to grow a good crop but how to effectively lead complex, management-intensive operations. 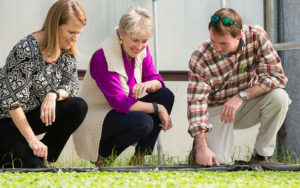 ECU College of Business Instructor Sharon Justice (center) and Eastern North Carolina farmer Steven Archie Griffin (right) look at the tobacco seedlings grown on Pattie Mills’ (left) farm. EFM Director Blake Brown published an analysis of the use of the business model canvas in agribusiness management programs. Read “Application of the Business Model Canvas in Farm Management Education.”Application of the Business Model Canvas in Farm Management Education.” He presented this research at the International Farm Management Association Congress and Tour in Edinburgh, Scotland in June 2017. 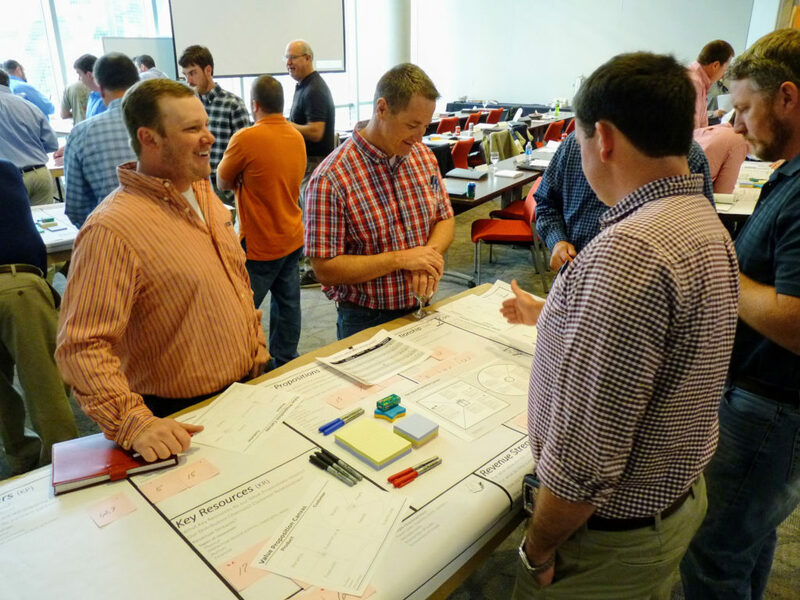 Instructors from ECU’s College of Business joined event organizer NC State University in developing and delivering content to help large family-owned farmers strengthen their business management skills, meet the demands of the global market and gain a competitive advantage.